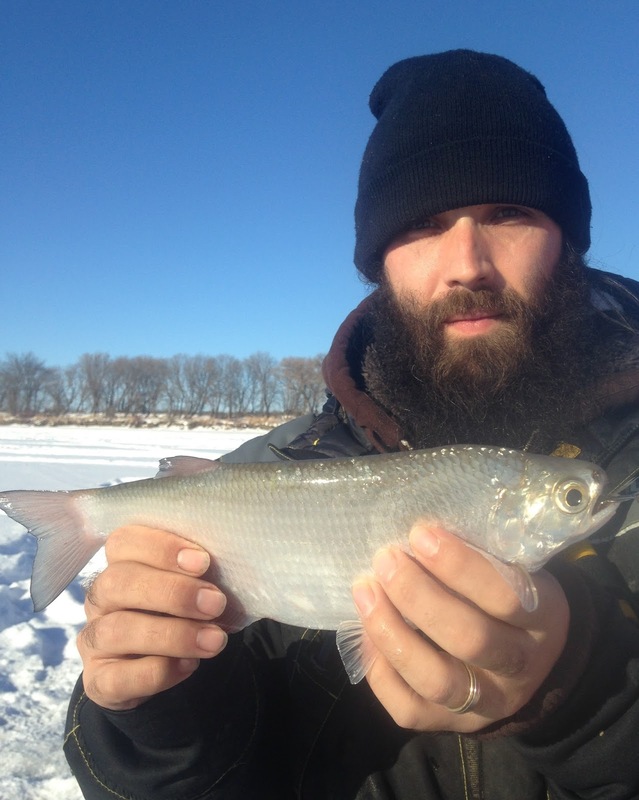 New Years day 2016 ended up being a solid day of ice fishing. 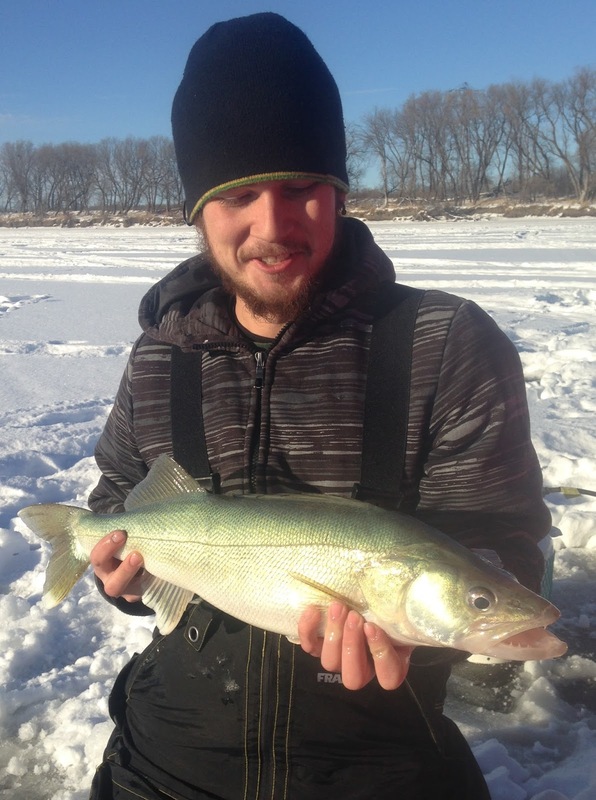 Our destination was the northern stretches of the Red River and our target species were Greenback Walleye. We were the first ones out at the access point and headed off on foot to where we left them in fall. Our last trip was a while back but it seemed as good a place as any to start. The current was moderate, water murky as usual and as the sun began to rise the fish seemed to wake up and get active. The action was steady all morning as we found aggressive fish that would outright slam our lures, hesitant fish that took a heck of a lot of convincing and some very inquisitive goldeye that more often than not would sneak away successfully with the minnow chunk. Having a few different rod set ups and tackle options we were able to target the goldeye as they came through and noticably behaved differently than the walleye and sauger on our flasher screens. 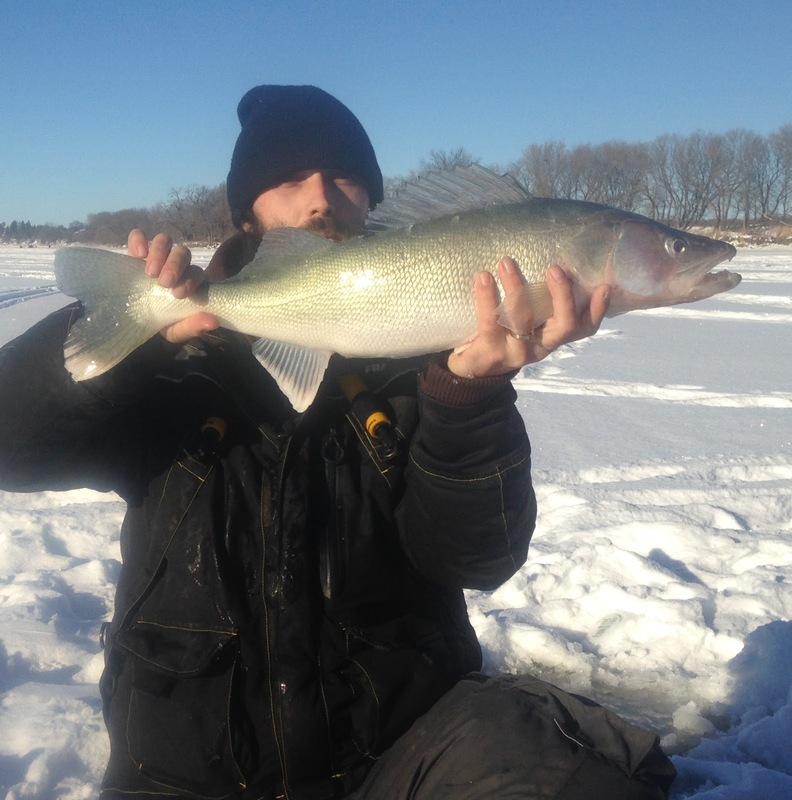 The big walleye showed up over lunch and early afternoon and we caught and released a good handful of 25-26 inchers as well as losing a few on the bottom of the ice. It ended up being an above average day on the Red and we were able to bring home some nice 14 - 19 inch eaters and a few goldeye for the smoker.